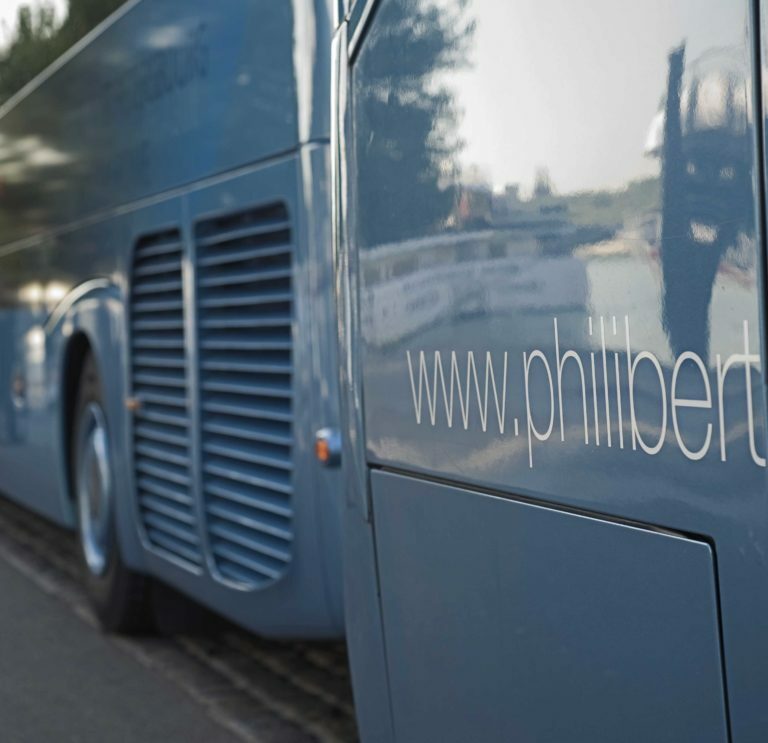 Philibert offers a fleet of 399 coaches (tourism, line busses and school transportation), distributed in our 14 garages in our region’s districts of Rhone, Loire, Ain, Haute-Savoie and Isere. 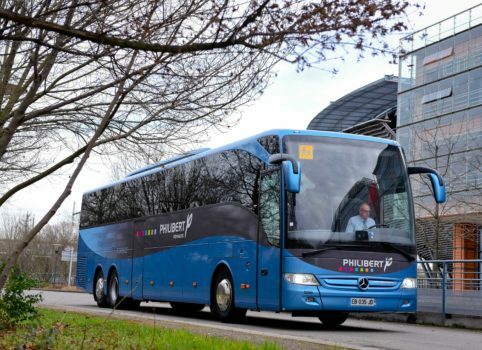 Our tourism coaches are adapted to long or shorter journeys, day tours or transfers. 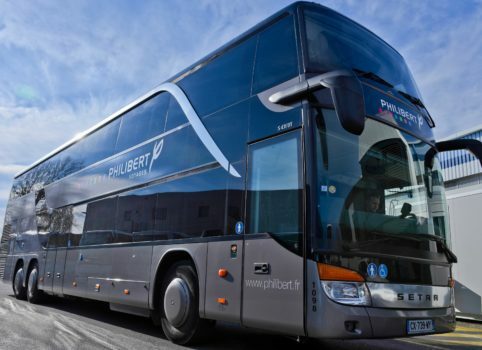 The fleet is composed with coaches from the most renowned brands for prestige standing, as Mercedes, Setra or Neoplan. Find the different categories of vehicles that we can propose. Grand tourism double-decker coach with 85 seats and several options to guarantee the best comfort during your trip. Enjoy the greatest comfort in our 4* Grand tourism coaches. Many options at your disposal, as USB and electric plugs. To make your trips in 3* coaches, will all necessary comfort. Several options at your disposal, as ski rack or trailer to meet all your needs. 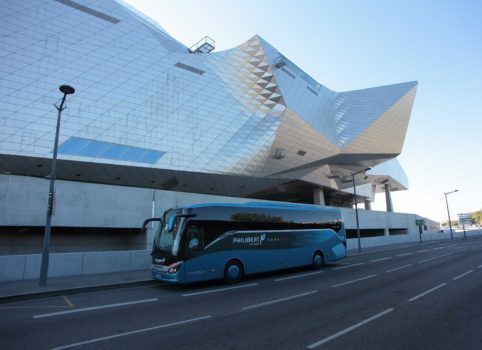 The fleet is also composed with smaller vehicles from 8 to 16 seats, for short transfers. 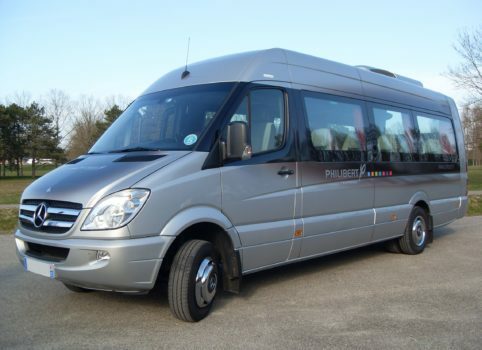 Philibert offers also private luxury cars or vans with drivers with 7 to 8 seats.